Did you know that tobacco use is still the single largest cause of preventable disease and premature death in the US? It is truly sad to know that with all the education, warnings and media exposure things haven’t changed. About 42 million Americans still smoke cigarettes — a bit under 1 in every 5 adults. As of 2012, there were also 13.4 million cigar smokers in the US, and 2.3 million who smoke tobacco in pipes — other dangerous and addictive forms of tobacco.Well the good news is using hypnosis for smoking cessation is the number one way to make you a non-smoker for good. 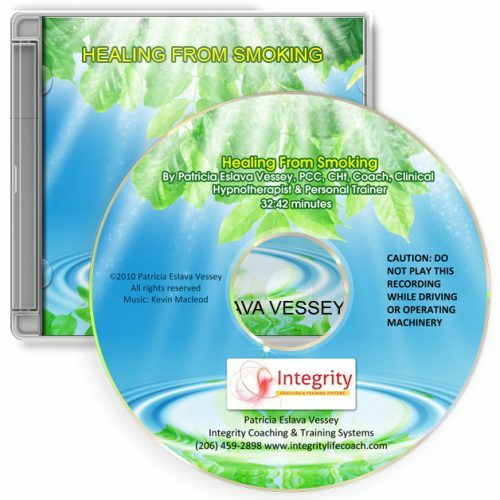 My smoking cessation program is one of the most successful programs around. I use a variety of powerful and effective techniques to make sure you give up that habit for good. Anytime is a good time to quit smoking. Other great opportunities are birthdays, holidays, New Year’s and during The Great American Smoke out. The American Cancer Society has designated the third week in November as a national smoke out. This is a great opportunity for smokers to kick the habit for good and a recapture those years of their life that would have been lost had they continued to smoke. Before you hire me to help you become a non-smoker, you’ll want to read the testimonies below. I will support you in achieving your goals whatever they may be. Haven’t smoked since I met Patricia six months ago. She took the time to figure out why I smoked and then released me from it! This lady really has a gift. Thanks, Patricia – I’m forever grateful.